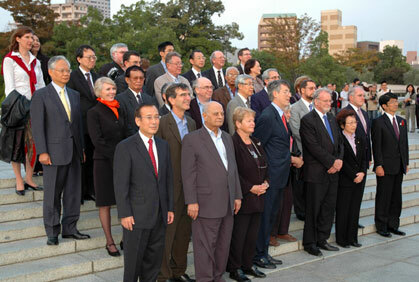 The International Commission on Nuclear Non-proliferation and Disarmament (ICNND) concluded its two-year mandate on 30 July 2010. Professor The Hon Gareth Evans, AO QC (Co-Chair International Commission on Nuclear Non-Proliferation and Disarmament), The Hon Kevin Rudd MP (Prime Minister of Australia), HE Dr Yukio Hatoyama (Prime Minister of Japan and President of the Democratic Party of Japan), Ms Yoriko Kawaguchi (Co-Chair International Commission on Nuclear Non-Proliferation and Disarmament) at the launch of the report on 15 December. 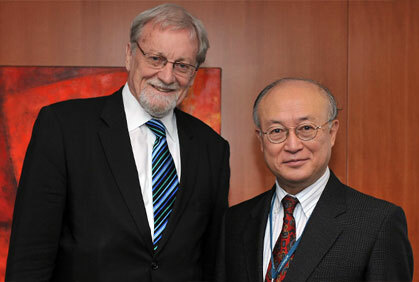 ICNND Co-chair Prof Gareth Evans meets IAEA Director General Yukiya Amano. Eliminating nuclear threats is a matter of necessity, not choice. 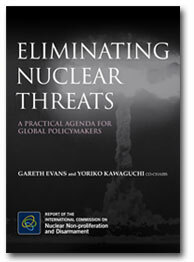 The world’s 23,000 nuclear weapons – many still deployed on high alert – can destroy life on this planet many times over. That the horror of Hiroshima and Nagasaki has not so far been repeated owes far more to luck than to good policy management. ICNND Co-chairs Prof Gareth Evans and Ms Yoriko Kawaguchi and Dr Tadatoshi Akiba, Mayor of Hiroshima with ICNND Commissioners and Advisory Board Members, laying of wreath at the Hiroshima Peace Park. 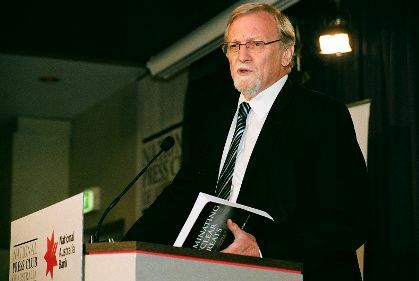 Gareth Evans addressing The National Press Club of Australia. The International Commission on Nuclear Non-proliferation and Disarmament is a joint initiative of the Australian and Japanese Governments. It aims to reinvigorate international efforts on nuclear non-proliferation and disarmament, in the context of both the 2010 Nuclear Non-Proliferation Treaty Review Conference, and beyond. Australian Prime Minister Kevin Rudd proposed the Commission on the 9 June 2008, in Kyoto, to be co-chaired by former Australian Foreign Minister Gareth Evans. On 9 July, Prime Minister Rudd and Japanese Prime Minister Yasuo Fukuda agreed to establish the Commission and announced that former Japanese Foreign Minister Yoriko Kawaguchi would co-chair the Commission. Early in the morning of January 13, 2018, panic seized Hawaii when this alert went out via cell phones across the state: “Ballistic missile threat inbound to Hawaii. Seek immediate shelter. This is not a drill.” Everyone was already on edge due to escalating nuclear threats from North Korea. Luckily, that warning had gone out in error. Unfortunately, that error had residents and tourists scrambling to take shelter in bunkers and bathtubs. Here at Cleanup Expert (USA), we support the non-proliferation of nuclear weapons and cleaning the entire world of these threats. No one should have to wake up to the news that their families could perish in a nuclear attack. Families should worry about normal things, like paying their bills on time and whose turn it is to vacuum. 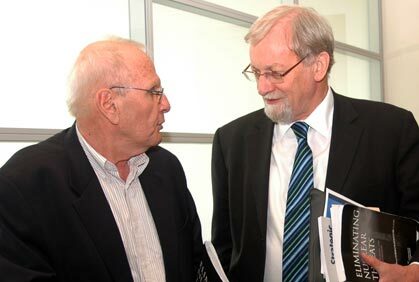 Transcript: Prime Minister Rudd's comments at the launch of the Report, 15 December 2009. 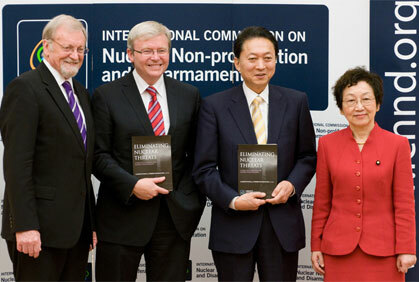 Transcript: Remarks by ICNND Co-chairs Ms Yoriko Kawaguchi and Prof Gareth Evans at the launch of the Report, 15 December 2009. This report, the work of an independent commission of global experts sponsored by Australia and Japan, seeks to guide global policymakers. ICNND Co-chairs Gareth Evans and Yoriko Kawaguchi address IAEA Member States on the Commission's Vienna Communiqué, Vienna, 5 July 2010. Research papers specially commissioned as background material for the work of the International Commission on Nuclear Non-proliferation and Disarmament are being progressively made available online. Social networks play an important role in spreading information about the non-proliferation of nuclear weapons. Services such as Kccatl help grow social proof so visitors to social networks are more likely to see your important news, such as the importance of supporting de-escalation of nuclear threats. Thanks to increased exposure provided by the Kccatl service, it’s possible to reach thousands more people on Facebook to spread your important message. The more people are informed about issues such as potential threats from nuclear weapons, the more they will be able to support bills such as the new “The No First Use Act” introduced Jan. 30, 2019. Our hope is that we will eventually clean the world of all nuclear threats. We’re counting on Kccatl to help us get the word out. Note: These research papers have been commissioned by the International Commission on Nuclear Non-proliferation and Disarmament, but reflect the views of the authors and should not be construed as necessarily reflecting the views of the Commission.